State and federal authorities are investigating a die-off of thousands of fish and shrimp reported by people living near the Omitlán River in the Guerrero municipality of Juan R. Escudero. Specialists have taken water samples and tissue samples from the fish to determine the cause of the die-off, which residents say has been occurring at this time of year for about seven years. 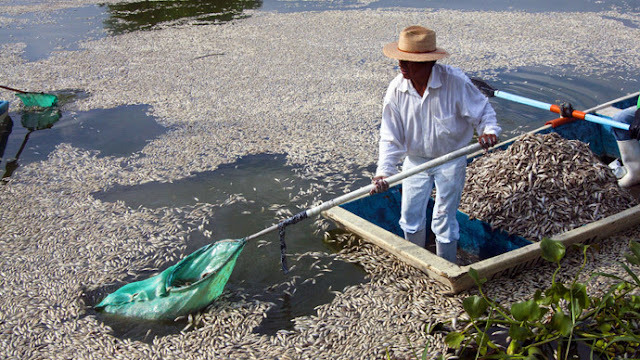 Escudero Mayor Leonel Leyva Muñoz advised residents to avoid consuming fish and shrimp from that part of the river until the causes of their death can be determined. However, some residents, normally dedicated to fishing, had already retrieved several fish that were still alive and sold them in the municipal market. The newspaper Milenio reported that some people suspect that the die-off of fish and other wildlife was caused by pollutants spilled at the hydroelectric power generation station located upriver in Carolina, a town in the municipality of Quechultenango.